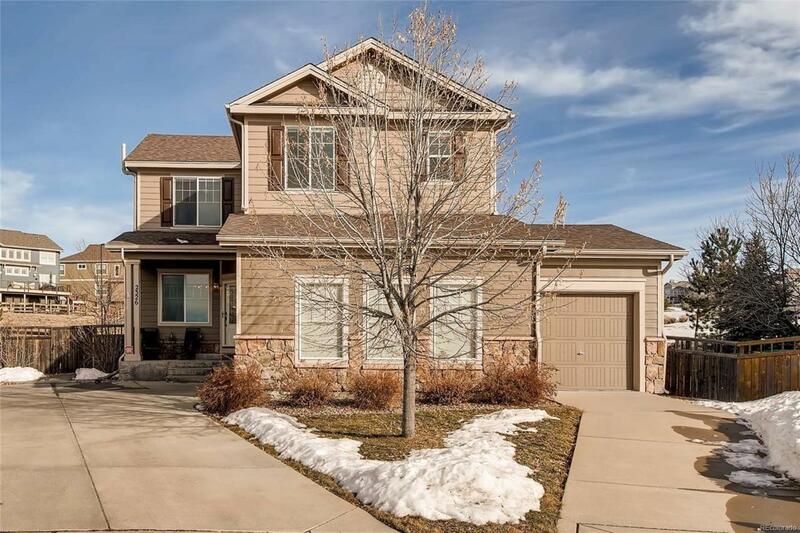 CASTLE ROCK LIVING AT ITS BEST ~ IMMACULATE & MOVE-IN READY! This home sits at the West end of The Meadows in a QUIET, friendly neighborhood with amazing MOUNTAIN & MESA VIEWS! Entertain on the expansive stamped-concrete patio located on your beautifully-landscaped SPACIOUS LOT. OPEN SPACE on back and side of home & cul-de-sac location give you a sense of hard-to-find privacy. This incredible setting will remind you why you live in COLORADO! Ridgeline Open Space (with hiking/biking trails) & Native Legend Open Space are steps away. Unpack your boxes and you are home ~ no work to be done. Top-of-the-line appliances with gas range, Hardwood floors, newer upgraded carpeting/pad, custom paint throughout, fully epoxied 3-car garage, etc Enjoy the Grange & Taft Community Centers/Pools, Phillip S Miller Park & Field House (concerts, Incline, Sports fields, etc), Restaurants, Shops, Movies, Golf, and all that nearby Promenade & quaint downtown Castle Rock have to offer. This one is HOME!